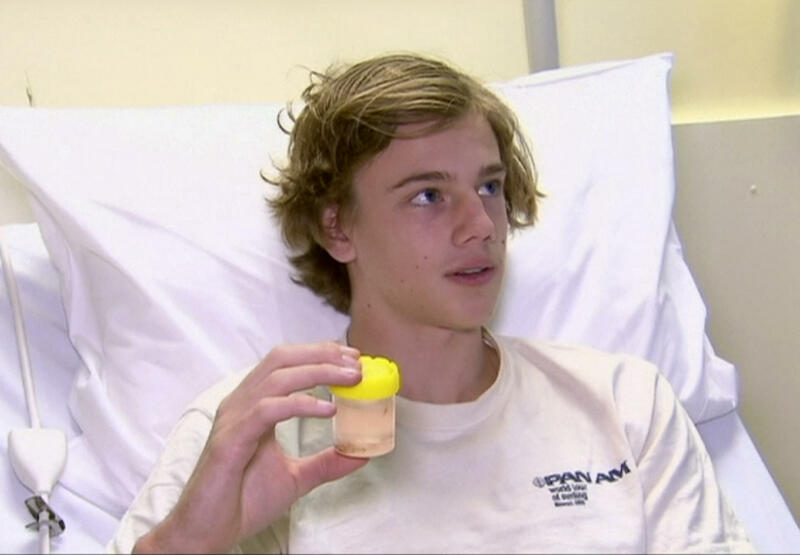 What chewed up an Australian teen's feet in the shallows? MELBOURNE, Australia -- A teenager who just wanted to relax his legs at a Melbourne beach but emerged with his feet covered in blood has stumped marine experts, but one biologist is convinced the culprits were tiny scavengers. Jeff Weir, executive director of the Dolphin Research Institute, believes the teen may have been attacked by parasitic crustaceans called amphipods, which usually eat decomposing plant and animal scraps. But in remarks published Monday on Australian news website news.com.au, associate professor Richard Reina, with Monash University's School of Biological Sciences, said he was convinced amphipods commonly known as "sea lice" or "sea fleas" were the culprits behind the attack. "I think it's very rare," Reina admitted to the website, but he said Kanizay was likely chewed up so badly because he stood still for an extended period of time. "He probably thought the pins and needles he described was the cold and didn't realise there were crustaceans chewing on his feet," he said. Reina told news.com.au that sea lice don't generally travel in a large group, but that once a small number drew blood, it would have attracted all the others. "They are very good at finding food," he said of the scavengers. "It looked really bad in the photo, his feet looked like they went through a mincer, but it's a superficial injury and more like a graze than anything else... I would expect and hope he will recover pretty quickly." Kanizay was still hospitalized on Monday, but had been taken off antibiotics.